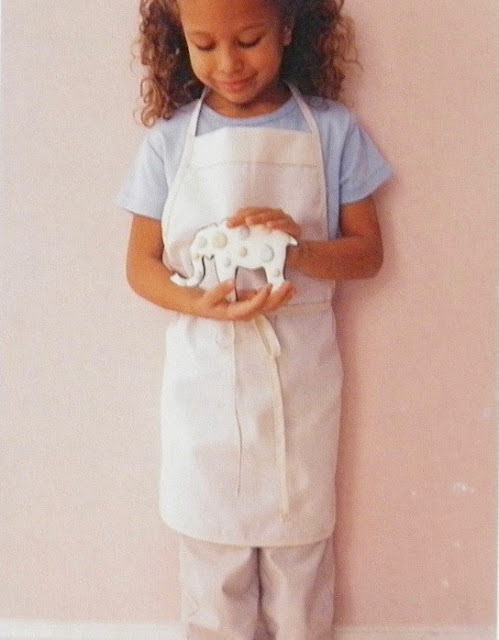 This wonderful idea comes from a cookie decorating kit which was once sold through Martha by Mail. 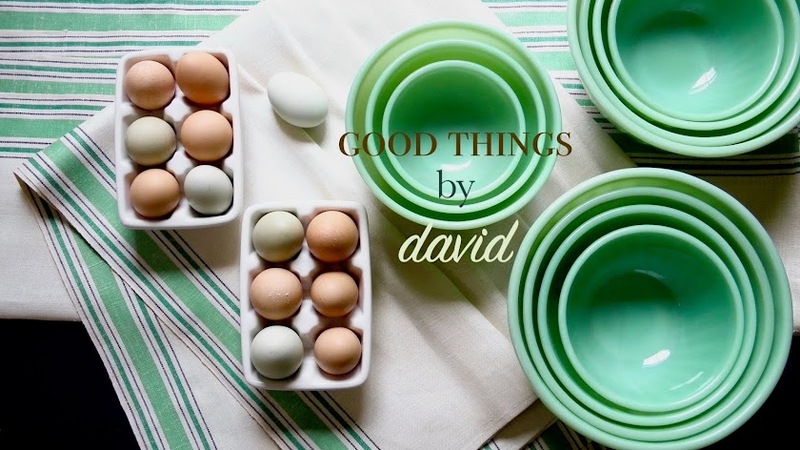 The tips, recipes and concept can be adapted for any present-day party. Once you go through these ideas and the list of tools needed, you will be inspired to create your very own cookie decorating party at home or at school for the kids. "The best kind of party favor is one you can take home and eat. 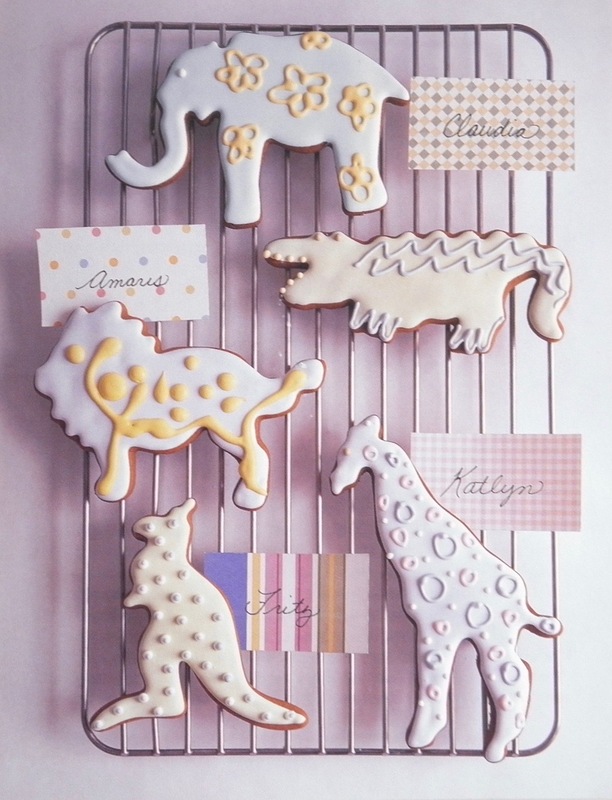 Beautifully decorated cookies are delicious, and even better when you and your guests have decorated them together. Cookie decorating can be an entertaining activity at a party, particularly for children. 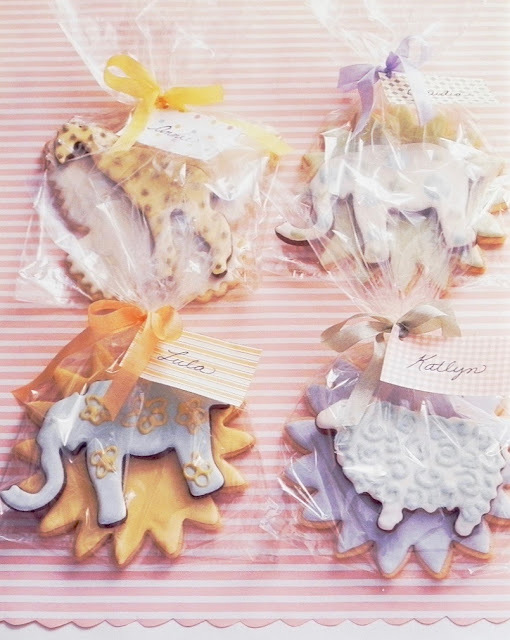 Adults, too, can enjoy decorating cookie favors together at a baby or wedding shower or at an afternoon party. We've collected everything you need to host your own cookie-decorating party; disposable supplies make the cleanup easy. Simply bake the cookies in advance, then set up a decorating table with colorful royal icing in pastry bags. The meringue powder replaces raw egg whites in the icing recipe, so it's safe for anyone to eat, and eight paste food colorings in the kit provide lots of color options. Your guests can carry their creations home in the cellophane bags. There are enough supplies in this kit for up to 18 party guests." First, bake the cookies. They can be made up to three months in advance and stored, frozen, in an airtight container. 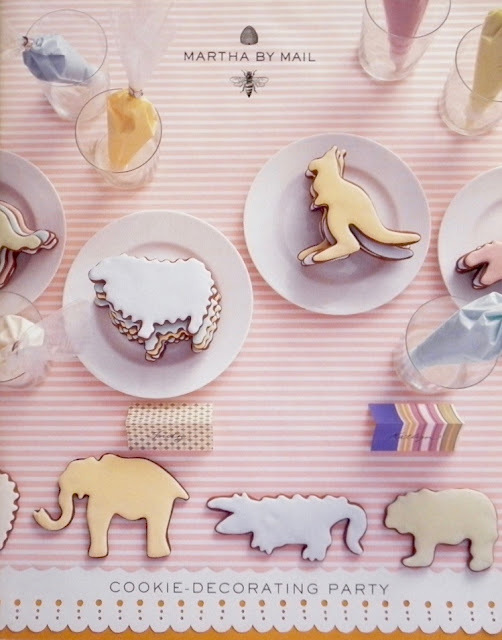 Store them plain or flooded with a base coat of icing that has dried overnight, like the cookies shown in this booklet. 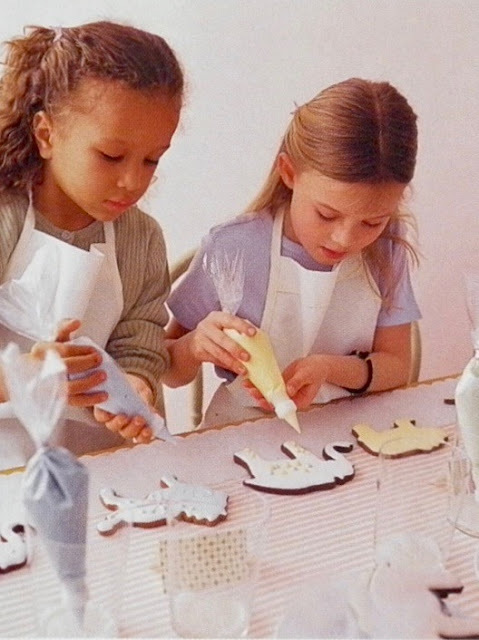 Royal icing that isn't frozen can be made up to three days in advance. 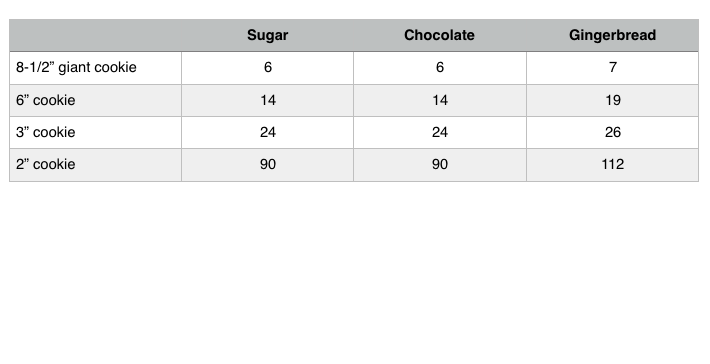 If the cookies are large, plan on about two to three per guest; if they are smaller, plan on about four or five. On the day of the party, cover a large table with craft paper or a washable tablecloth. Set a place card for each guest, or write the guest's name right on the craft paper. 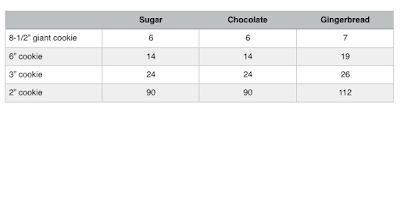 Put a cookie at each spot, and have a variety of extra cookies ready on plates nearby. 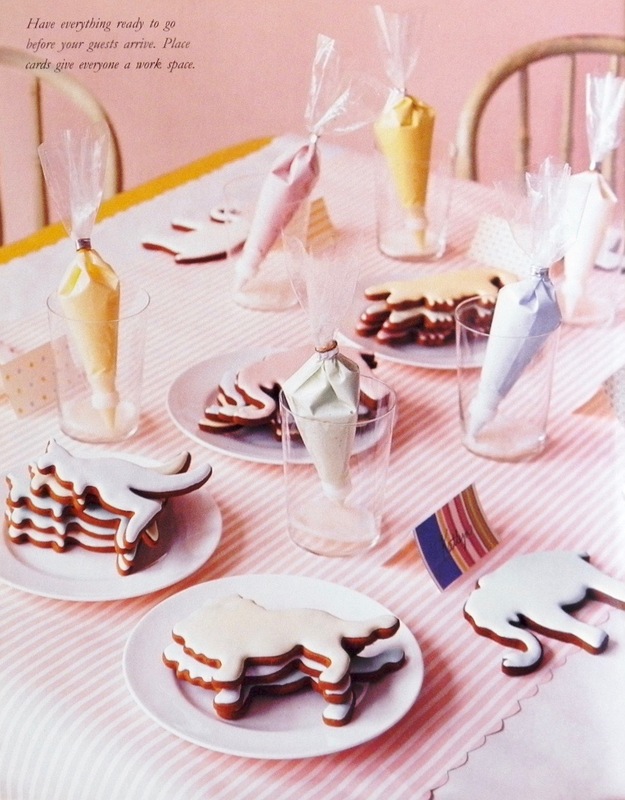 Place pastry bags filled with royal icing tip-side down in tall glasses; a moistened paper towel in the bottom of the glass helps prevent the icing from drying and clogging the tip. Be sure to have multiples of the same icing colors and cookie shapes available to make sharing easy. Cookie decorating should be the first activity at the party so the royal icing has time to dry (about 2 hours). The table should be set off to the side so cookies dry undisturbed. Be sure to label them so they go home with the right guests. To prepare an icing base for your cookies, you should "flood" them. 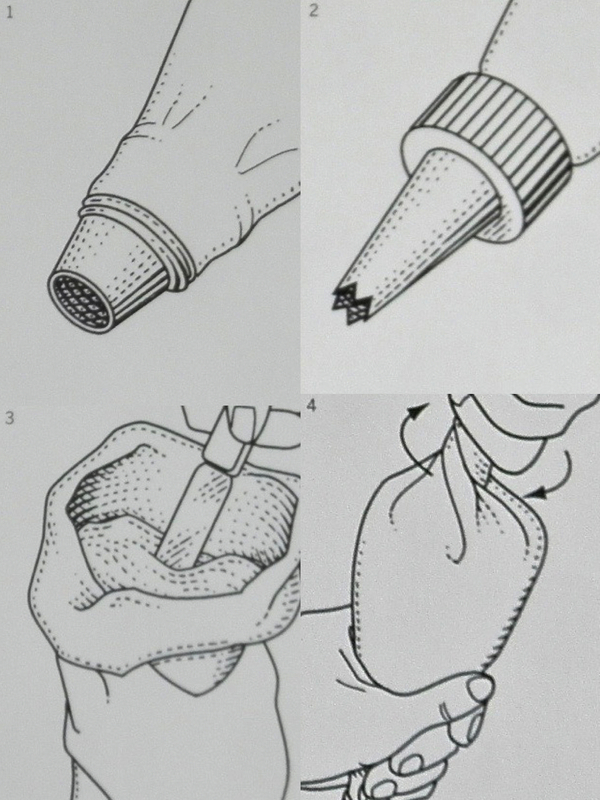 Depending on the skill level of your guests, you can try other techniques such as "flocking" and "drawing out". 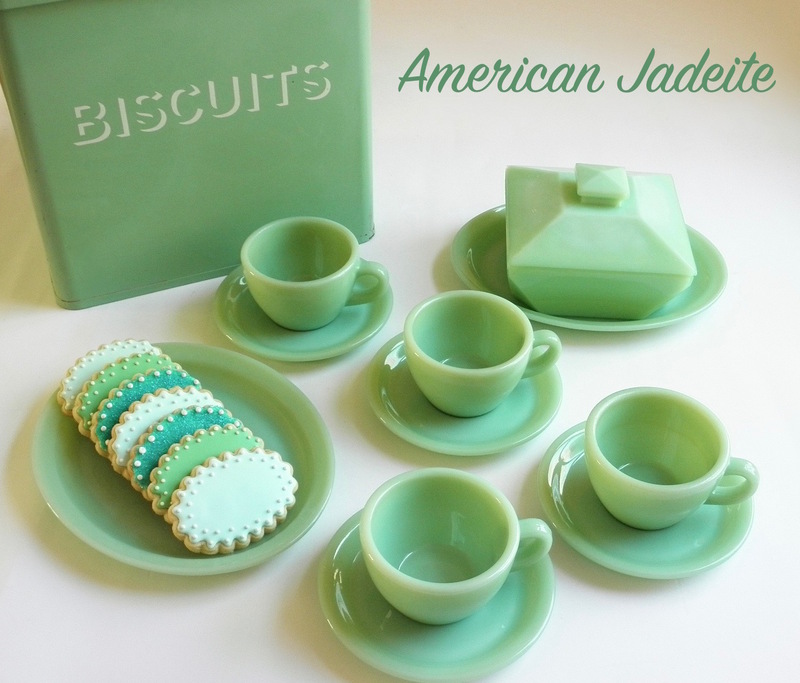 These techniques should be done only on cooled cookies. Flooding: Outline half of a cookie with icing using a pastry bag fitted with a #2 tip. Turn the cookie 180 degrees, and outline the other half. Let the icing set, 5 to 10 minutes. Using a pastry bag fitted with a #4 tip, draw icing zigzags cross the cookie's surface. Spread the icing evenly over the entire cookie with an offset spatula. Let each iced cookie dry overnight before wrapping individually in plastic and storing in an airtight container. Flocking: Sanding sugar sprinkled on wet icing creates an effect like flocked velvet. Have bowls of colored sanding sugar ready. Draw designs in icing, then sprinkle sanding sugar on top. Let stand for 1/2 hour before shaking off excess sugar, and several hours before brushing away stray crystals. 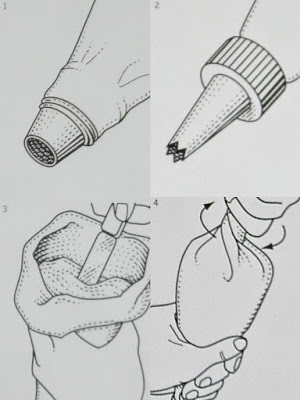 Drawing Out: This is a wet-on-wet method. Flood a cookie with icing, then pipe on a different color in one area. 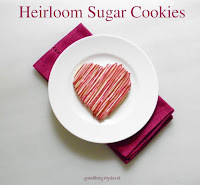 Working quickly, use a toothpick to draw out icing in back-and-forth lines or swirled loops for a marbleized look. The disposable plastic pastry bags in this kit make cleaning up easy, and they area also easy to use. To begin, cut off the tip of the pastry bag so that the bag will fit snugly around the threaded part of the coupler. Unscrew the coupler ring. Push the coupler tip into the pastry bag, forcing it through the end far enough to expose the two bottom coupler threads. Position the decorating tip over the end of the pastry bag and coupler tip. Screw the coupler ring into place over the bag and coupler to secure. Fill the pastry bag with royal icing: "cuff" the top of the pastry bag over one hand, or place the bag, tip down, in a tall glass, and food the cuff over the rim. Using your other hand and an offset spatula, fill the bag with royal icing. Note: Do not fill the pastry bag more than halfway or icing might squeeze out the wrong end while decorating. Unfold the cuff. Gather the top with one hand and drag the thumb and index finger of your other hand downward to release any air from the bag, and force the icing through the bag and into the decorating tip. Wish the top to close the end of the bag, and secure it with a wire tie. Hint: To remove air bubbles before decorating, hold the filled pastry bag over the bowl of icing and squeeze until air is released. As bag empties, retwist top of bag to force icing down toward the tip.